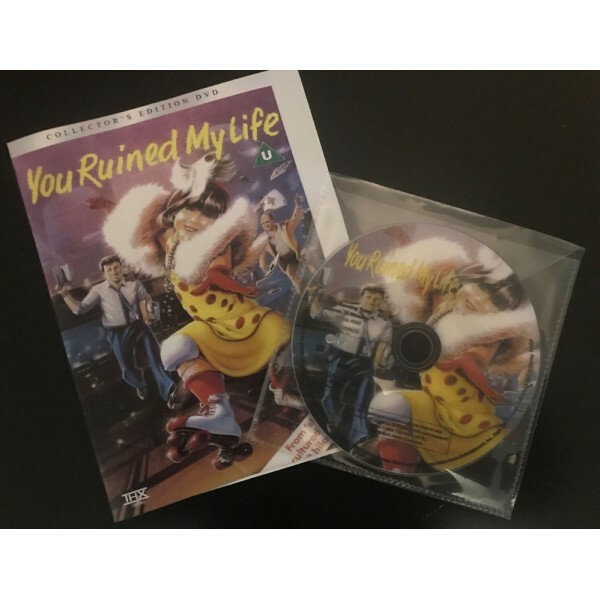 You Ruined My Life was a cute TV movie (from the Wonderful World of Disney movies that they show on Saturday or Sunday nights) starring Soleil Moon Frye (of Punky Brewster) as Minerva, a spoiled girl who lived in a Las Vegas casino with her Uncle Howie who lets her do whatever she wants. Minerva gets into trouble a lot, and her Aunt Hermione threatens to take her away from Uncle Howie. Paul Reiser plays Dexter, a professor who figures out a way to win every time at blackjack. Dexter gets caught at cheating, and Uncle Howie works out a deal for Dexter to tutor Minerva so she can get into a private school back east. This is easier said than done, because Minerva has never been interested in school. Dexter and Minerva finally bond, and Minerva (unrealistically) learns everything she needs to know in a very short time to pass the exam. Dexter also falls in love with Uncle Howie's assistant, Charlotte, played by Mimi Rogers. Minerva runs away to the private school by herself to take the exam and passes.